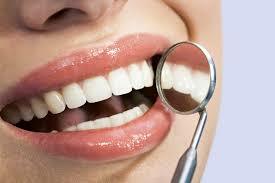 According to the National Health Service, around one in every three adults in England have some form of dental decay. The British Dental Health Association reports that a staggering 74% of people in the UK have had a tooth extracted, whilst 19% have full or partial dentures. And worryingly, some 60% to 90% of children in industrialised countries are estimated to suffer from tooth decay. Unfortunately poor oral health impacts much more than just your mouth. It affects your smile, your self-esteem, even your personality, and thus has a knock-on affect on every aspect of your life. Happily though, there’s a powerful new weapon in the fight against tooth decay – a natural superfood called coconut oil. Coconut oil – what is it? Coconut oil is made from the fragrant flesh of the coconut – the mouth-watering fruit of the tropical coconut palm that flourishes in coastal regions of South and Central America, Africa, Asia and the Polynesian and Hawaiian islands. Coconuts and coconut-based products, such as coconut oil, have long been harnessed for culinary and cosmetic purposes. In ancient Sanskrit, the coconut palm was referred to as “Kalpa Vriksha” or “Tree that provides all the necessities of life”. The coconut itself, which is actually not a nut, but a drupe, gets its name from the 16th-century Portuguese and Spanish word, ‘coco’, for skull. Organic coconut oil is wonderfully aromatic and rich in beneficial nutrients, including healthy saturated vegetable fats, lauric acid and ketones. It can also survive remarkably high temperatures without oxidising, making it a sensible substitute for trans fat-laden vegetable oils. But could this delicious, nutrient-dense superfood really help turn our nation’s oral hygiene around? Scientists at the Athlone Institute of Technology in Ireland certainly seem to think so. Indeed, they recently discovered that coconut oil attacks the very bacteria that cause tooth decay, and might possibly be used in a range of future dental care products. The researchers found that coconut oil (which has been treated with enzymes) has an impressive ability to halt the growth of streptococcus – the bacteria that are largely responsible for tooth decay. The research team tested coconut oil, in addition to other oils, including vegetable and olive oil, in a process that simulated digestion. Yet only the enzyme-modified coconut oil was able to limit the growth of the majority of streptococcus strains, and more specifically, streptococcus mutans – an acid-producing bacterium and major cause of dental decay. That’s because the added enzymes break down the fatty acids in coconut oil, turning them into acids, which are highly effective at eliminating this particular strain of bacteria. And lead researcher, Dr Damien Brady, hopes that coconut oil could be used as a gentle alternative to chemical additives, especially as it works “at relatively low concentrations”. Coconut oil – a new way to fight infection? Organic coconut oil consists largely of medium chain fatty acids, which have proven extremely effective in improving both the absorption of nutrients and the elimination of parasitic infections from the gut. Indeed, coconut oil is often chosen as a natural remedy for a variety of digestive disorders, including Cohn’s disease and Irritable Bowel Syndrome (IBS). Organic coconut oil is loaded with healthy, saturated vegetable fats (that don’t adversely affect our cholesterol levels) and a number of other valuable nutrients, which offer a wealth of additional health benefits. Promotes beautiful skin and hair – organic coconut oil is hypoallergenic and extraordinarily moisturising for skin, hair and lips. The Polynesians have used coconut oil as a nourishing skin ointment and sweet smelling massage oil for generations, whilst the lauric acid that it contains is currently being developed as a treatment for acne. Supports a healthy thyroid function – coconut oil assists in both the regulation and production of hormones, making it an ideal tool in the management of thyroid disorders. Aids in weight loss – the medium chain fatty acids in organic coconut oil boost metabolism. Many report demonstrable weight loss after incorporating just two or three tablespoons of coconut oil into their daily diet. Strengthens immunity – organic coconut oil contains lauric and caprylic acid – both known for their prowess at fighting bacterial infections. The body converts lauric acid into monolaurin – an antiviral agent that targets a variety of pathogens and viruses, including herpes, influenza, and HIV. Ready to go nuts for coconut oil? Organic coconut oil is an ideal alternative to regular cooking oil – try using it for frying, stir-frying and roasting. It’s utterly irresistible in exotic Thai and Asian dishes and lends a wonderfully tropical taste to smoothies, shakes and juices. Organic coconut oil can even be enjoyed straight from the jar as a tasty spread, and is the perfect ingredient in a range of rawfood recipes, including, raw chocolate, snacks and desserts. And, don’t forget – organic coconut oil is also a kind and gentle body care product that can be applied directly to skin and hair, for truly luscious results. The post Coconut oil – the natural way to prevent tooth decay appeared first on Superfood blog - Healthy, Rawfood Lifestyle.